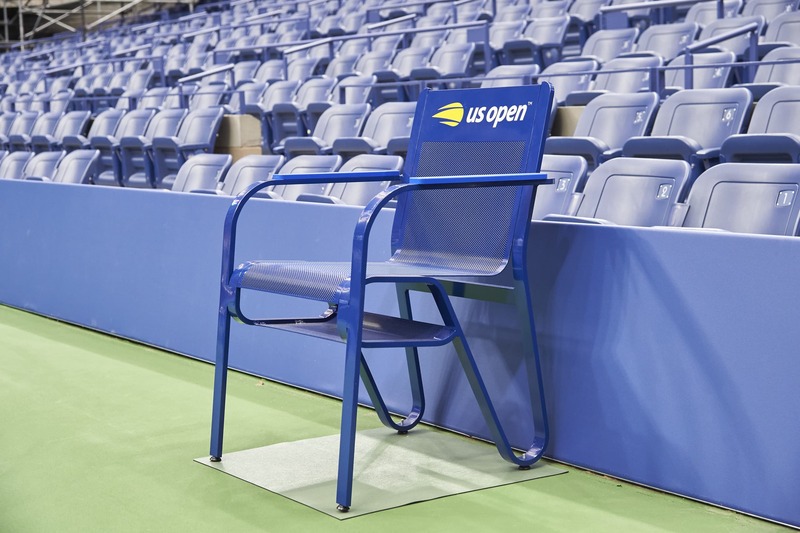 In celebration of the 50th anniversary of the US Open, the United States Tennis Association hired Michael Graves Architecture & Design to reimagine the Tournament’s on-court furniture to launch America’s Grand Slam toward its next 50 years. 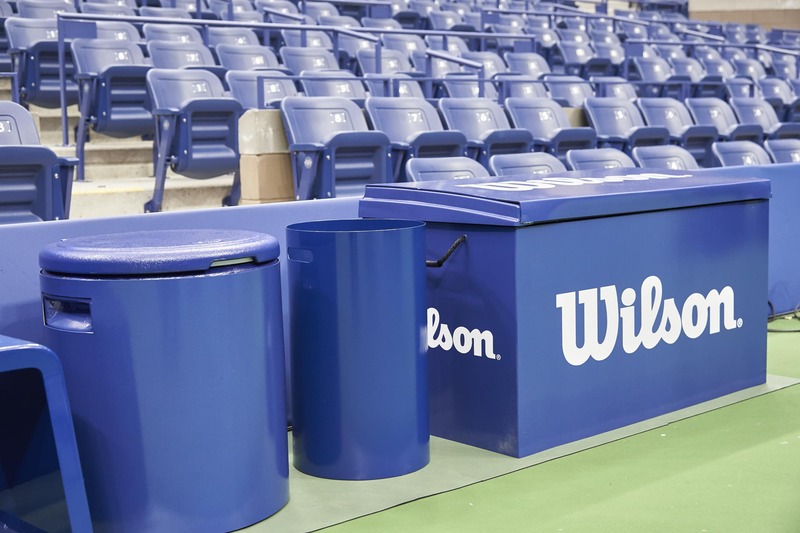 The project included new player seating, chair umpire stand, line judge seating, and the “cooler corral” located against the wall behind the players. 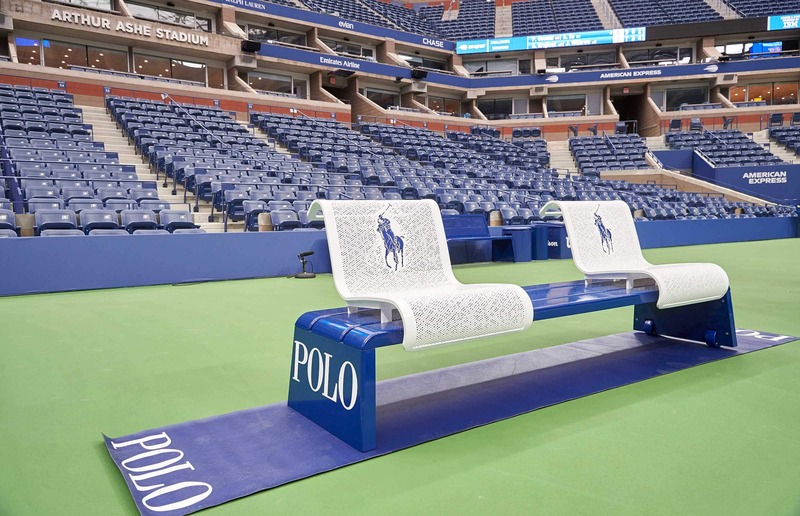 The goal for the project was to design a courtscape that is iconic to the US Open without overshadowing the action on the court; the true star of the tournament. At the start of the project, MGA&D’s design team met with the various US Open stakeholders to fully understand and map out the technical and user experience requirements for each piece of furniture. Our research gave great insights to establish the guiding principles but also presented the challenge of balancing the stakeholders’ diverse wants and needs. The project timeline was aggressive and required finished products to be delivered less than 8 months after kick-off. We needed to establish partnerships with experienced industry leaders who could manufacture the pieces with both expediency and a high level of quality.